PHILADELPHIA (AP) — Tobias Harris drove the lane, tossed up a runner and buried the winner in what turned out to be his final shot for the Los Angeles Clippers. SAN FRANCISCO (AP) — Giants left-hander Will Smith reached agreement Friday on a $4,225,000 contract with the San Francisco Giants to avoid salary arbitration. FLAGSTAFF, Ariz. (AP) — At the end of the 1991 movie "Thelma & Louise," the two leading ladies — fugitives cornered by authorities in the Grand Canyon — decide against surrendering and instead drive off a cliff. SAN DIEGO (AP) — Their early 3-0 lead long gone, the San Francisco Giants got some big plays late to had the free-falling San Diego Padres their sixth straight loss. Gorkys Hernandez hit a go-ahead home run leading off the 12th inning, Will Smith struck out the last four San Diego batters and Austin Slater had a big play at first base as the Giants beat San Diego 5-3 Monday night. FIFA has fined Croatia and Sweden 50,000 Swiss francs ($49,990) each for players wearing non-approved socks in games against England. FIFA says one Croatia player "displayed unauthorized commercial branding on playing equipment items" during the team's World Cup semifinal match on Wednesday. Croatia's soccer federation had been asked by FIFA to "cease the activity that led to the breach." SAN FRANCISCO (AP) — Eric Hosmer's first single barely stayed fair and never made it past third base. His second was a little crisper and gave the Padres a little cushion in the ninth inning. It also assured Clayton Richard's career-best winning streak stayed intact. SAN FRANCISCO (AP) — Giants backup catcher Nick Hundley knew he needed a triple to complete the cycle and fully intended on going for it after lacing a ball into the gap in left-center field in the sixth inning. "And then I almost go thrown out at second," Hundley said. Hundley homered, doubled twice and matched his career high with four hits, Brandon Crawford broke out of a lengthy slump with three RBIs and the Giants beat the San Diego Padres 9-4 on Wednesday. Will Smith and Jada Pinkett Smith offered Prince $400,000 to perform at a private party. The showbiz couple offered the hefty amount for the 'Purple Rain' singer - who passed away in April 2016 - to do a show for them in Los Angeles on 17 September, 2015. The party - which was thought to have been arranged to mark Jada's birthday - was set to have 100 guests in attendance. The Braxton sisters are going through it in business and in their personal lives. First, Toni Braxton had to kick Tamar Braxton off their tour. So what’s going on with Tamar? She’s banned her estranged husband and manager, Vince Herbert, from their condo. She also shaved her head. That’s right shaved it. It’s not bad at all though. Meanwhile, she’s appearing quite regularly with Steve Harvey. We’ll see how things shake out. Also, we’re hoping the Braxtons’ tour returns to Philly. Stay tuned! Charlie Plummer is still waiting for his romantic comedy. 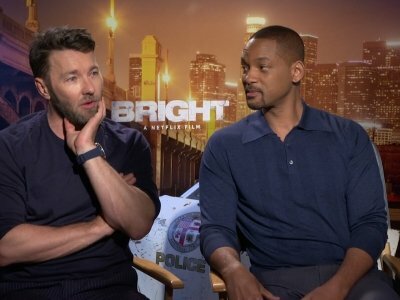 "You're talking to a guy who's favorite movie is 'Hitch' with Will Smith," says the young actor, on the phone earlier this month from Los Angeles. "I'm hoping for something along those lines, someday. I hope soon!" 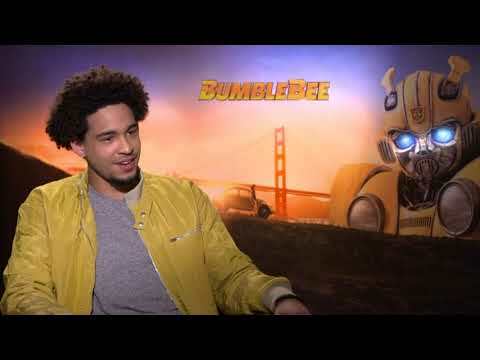 The 49-year-old actor met with Sophia - a robot created by Hong Kong-based manufacturer Hanson Robotics - and the two went on a date together and Will, who battled a group of manmade machines in the 2004 movie 'I, Robot', joked about his encounter on his Instagram account. With a picture of the two, Will said: "I just met Sophia the Robot. She wasn't feelin' me... I guess based on my history with Robots. (sic)"
A tsunami of social media mockery walloped Salon this week after it claimed that Marvel Studios' upcoming "Black Panther" is a first for big-screen black heroes. Fans of Wesley Snipes' "Blade" (1998), Michael Jai White's "Spawn" (1997), along with supporters of Will Smith and Denzel Washington zeroed in on Salon's Twitter account for erroneously framing "Black Panther" as a watershed moment in film. Could Will Smith be working on an animated version of The Fresh Prince of Bel-Air? Smith recently took to Instagram to share a couple of images of artist Howard Russell's animated take on the characters of the popular 1990s sitcom which launched Smith's acting career. LOS ANGELES (AP) — Switch-pitcher Pat Venditte is among 22 non-roster players invited to spring training with the Los Angeles Dodgers. The 32-year-old Venditte agreed to a minor league deal in November after he spent the 2017 season pitching for Triple-A Lehigh Valley in the Phillies' organization. He had a 3.36 ERA in 69 2/3 innings of relief. Going viral has landed actress Tiffany Haddish a new gig. When Haddish appeared on “Jimmy Kimmel Live!” in July to promote her film “Girls Trip,” she cracked him up with her story about taking the film’s costar, Jada Pinkett Smitth, and her husband Will Smith on a Louisiana swamp tour using a Groupon. Fans loved it too and the video quickly went viral, catching the attention of Groupon. Will Smith has documented his heart-stopping encounter with a giant crocodile on Instagram. The 49-year-old actor fed the terrifying reptile during his visit to Wild Life Sydney in Australia, and Will has given his followers a behind-the-scenes insight into his nervy experience with the crocodile. SAN FRANCISCO (AP) — Second baseman Joe Panik reached agreement on a $3.45 million, one-year contract with the San Francisco Giants on Friday to avoid salary arbitration. The deal came Friday for the 27-year-old Panik, who has been limited by injuries the past three seasons and spent a stint on the concussion list in 2017. San Francisco also announced four others to reach one-year contracts Friday: right-handers Hunter Strickland, Sam Dyson and Cory Gearrin and left-hander Will Smith. Hollywood actor Will Smith has hailed wife Jada Pinkett Smith, saying she's his "Queen" in an anniversary message on Instagram. Will Smith has admitted he "can't bear" to watch old episodes of 'Fresh Prince of Bel-Air'. The 49-year-old star had his big break as an actor when he starred as a fictionalised version of himself in the NBC sitcom which aired in the 1990s, but has admitted he can't bring himself to watch the show now, as he believes his performance was "terrible". He said: "It was my very first role and I was very, very focused on being successful so I learnt the whole script and everyone else's lines. Willow Smith cannot take rapping seriously. 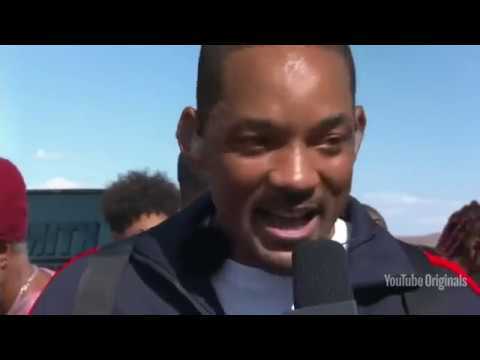 The 'Whip My Hair' singer - daughter of Will Smith and Jada Pinkett Smith - wishes she could rap like her brother Jaden, but her own efforts feel like a joke. Willow told Vulture: "I want to [rap]. I can. But I wish that I could really rap because every time I rap, I'm joking. But I feel like I could do it." CLEVELAND, Ohio – Machine Gun Kelly has released what is the second biggest (for now) pop collaboration of his career. 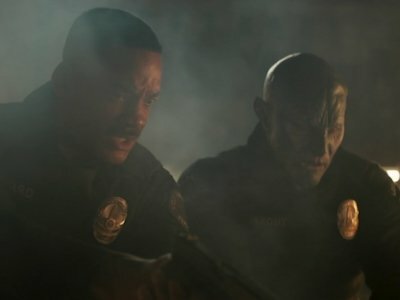 The Cleveland rapper's new song "Home," with X Ambassadors & Bebe Rexha, has finally arrived after being previewed in the trailer for Netflix's forthcoming movie "Bright," starring Will Smith. CLEVELAND, Ohio -- New Cleveland resident Gabrielle Union has landed a pilot for NBC based on the "Bad Boys" movie franchise. First reported by Deadline, Union will reprise her "Bad Boys 2" role as Syd Burnett, sister of Martin Lawrence's Marcus Burnett character and former undercover DEA agent turned LAPD detective. Jada Pinkett Smith's old motorcycle is up for sale. The 'Girls Trip' actress was gifted the red and black Yamaha Vstar 650 by her husband Will Smith in 2011 and nicknamed the vehicle 'Lil Beast', but she put fewer than 100 miles on the clock before she sold it on just two years later. And according to TMZ, the bike is now being sold on by Yamaha of Cucamonga for $5,000 - which is $1,000 more than its market value based on its current low 3,000 mile usage and its former famous owner. With Stevie Wonder singing "Lean on Me" and Usher and Blake Shelton joining for "Stand By Me," the message was clear: Americans were being asked to help those whose lives were upended by wind and rain. 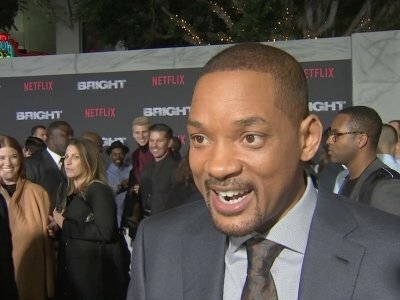 Will Smith confirmed filming for the live-action remake of “Aladdin” has started. The 48-year-old actor revealed he was playing The Genie in the Guy Ritchie reboot of the 1992 Disney-animated classic earlier this year and bosses have wasted no time getting started on production as he took to his Facebook account on Wednesday to post a selfie of the new cast on the first day of shooting.